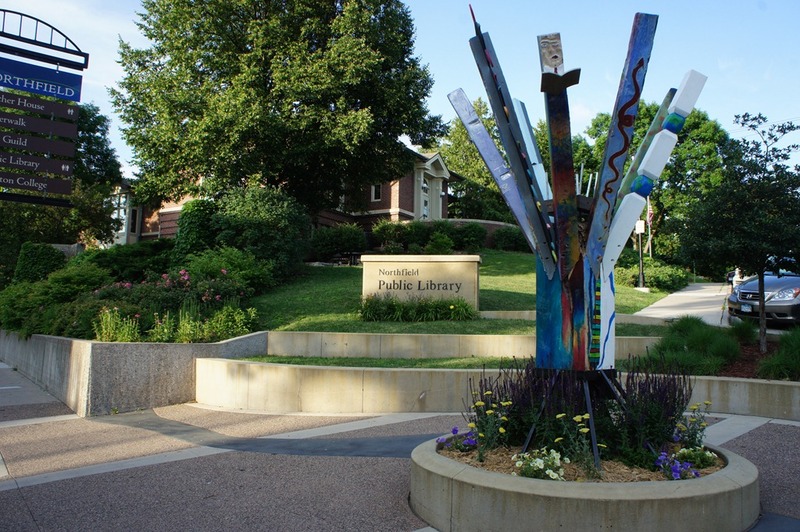 Northfield Historical Sculptures: A Walk of Fame? 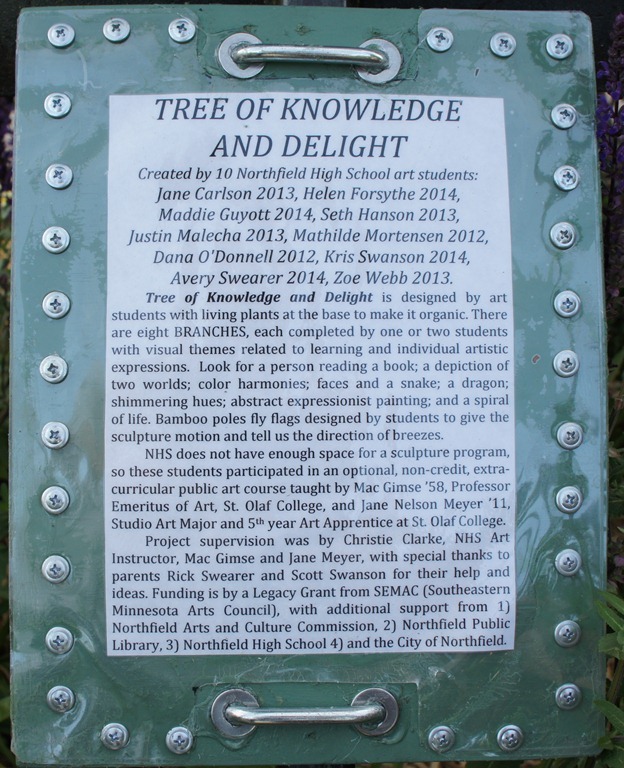 Northfield has a rich history, including rich historical characters like John and Anne North, William and Susan Willis Carleton, Berndt Julius Muus, Charles Goodsell, Joseph Lee Heywood, the governors with local connections… I am sure we could expand this list greatly. My vision was that each would be honored with a bronze statue in town, at a location appropriate to their connection/service to Northfield, all connected by a walking trail (or historical walking guide) that would allow people to come to Northfield and experience some of our history by foot. 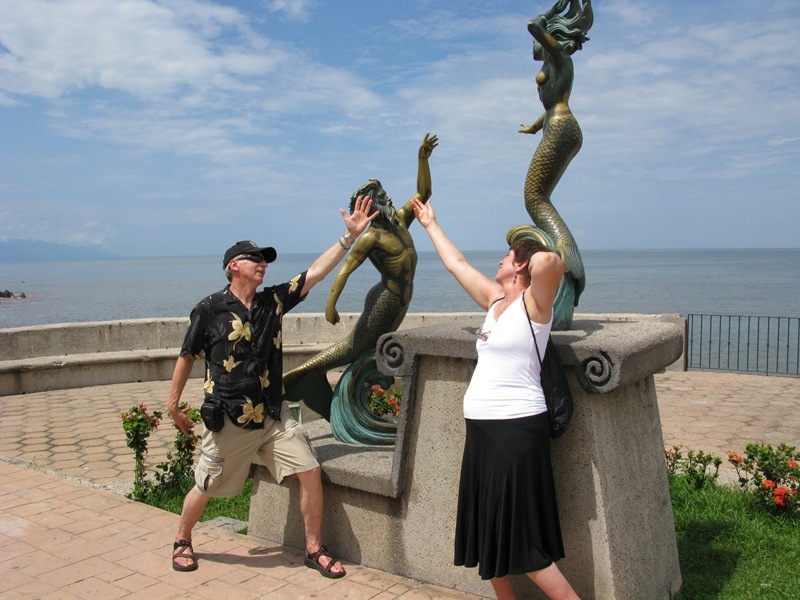 John and Ann North’s statue might grace Bridge Square. Joseph Lee Heywood’s statue might be at the entrance to the Northfield Cemetery or downtown by the bank, Berndt Julius Muus would be at the foot of Old Main at St. Olaf, etc. It’s a big project and one not necessarily for these economic times, but if you consider such a vision (maybe someone already has at the Northfield Historical Society) you could begin to align artists and corporate support to build it out. Imagine this in combination with the fine cataloging of sculptures (and fine additions being planned) by ArtOrg and our town could feature an historic sculpture garden that would benefit both modern commerce while honoring our local history. David, I too have a vision similar to yours although mine was honoring more modern Northfield citizens who have been staples of the community. A statue of Maggie Lee outside the Northfield News office, Ed Klinkhammer outside the bakery looking across the street at his long-time pal Bob Jacobson, Orv & Jean Perman down on Division St., etc. It would be Northfield’s walk-of-fame. I contacted the Arts Guild once to see if they would be interested in spearheading this endeavor but alas, it was not to be. But I do think it is an awesome idea! 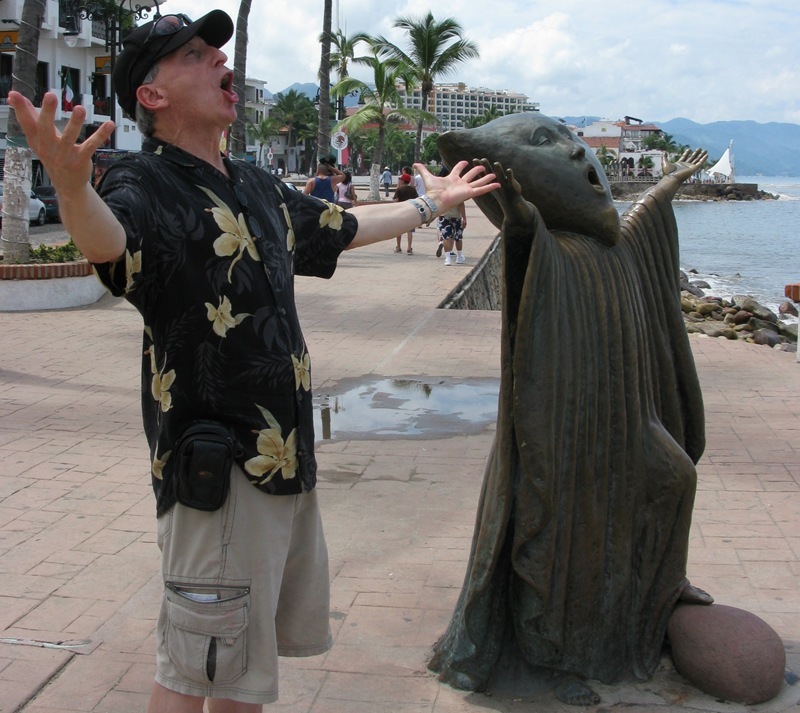 How about some al fresco whimsical art sculpture for Northfield’s new Riverwalk Arts Quarter? 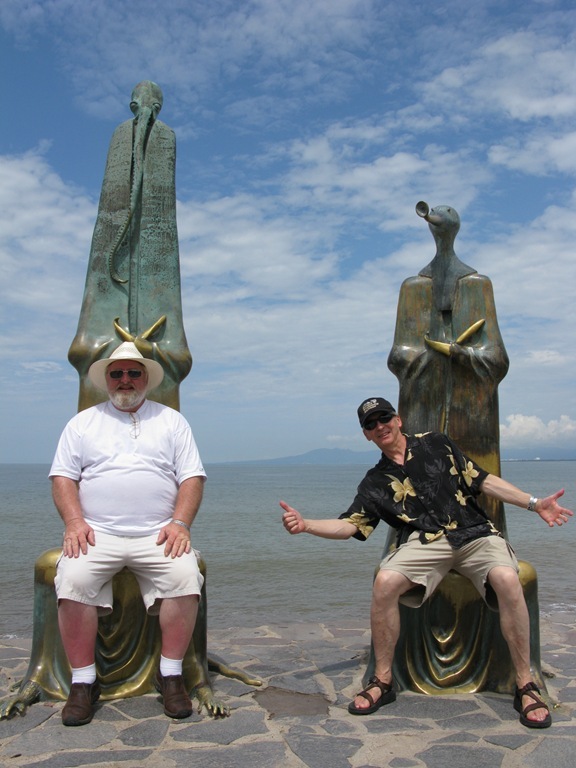 The oceanside boardwalk in the center of Puerto Vallarta is called the Malecón, home to many whimsical bronze sculptures which, as I watched over the course of a few hours, were amazing in their ability to engage people for play and photos. I left town about the same time the news hit about the Riverwalk Arts Quarter, spearheaded by ArtOnWater’s Dean Kjerland, getting funded by the Southern Minnesota Initiative Foundation (SMIF). 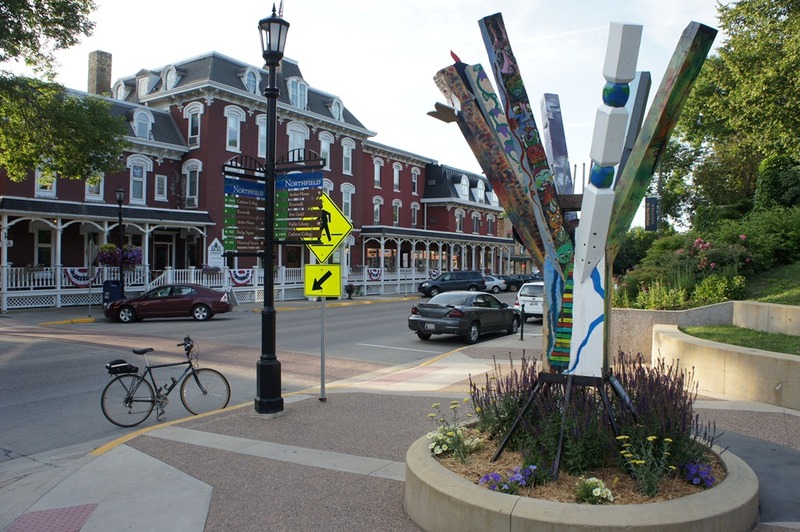 A group of arts entrepreneurs, supporting organizations and businesses surrounding the downtown riverwalk from 2nd Street to Bridge Square has been awarded a major grant by the McKnight-funded Southern Minnesota Initiative Foundation (SMIF). The grant was awarded to the founding members of the Riverwalk Arts Quarter and will be used to build a community-wide coalition to engage in what SMIF terms ‘asset-based economic development’ concentrating on the existing assets here in the north end of the downtown including the arts resources and underutilized riverwalk. 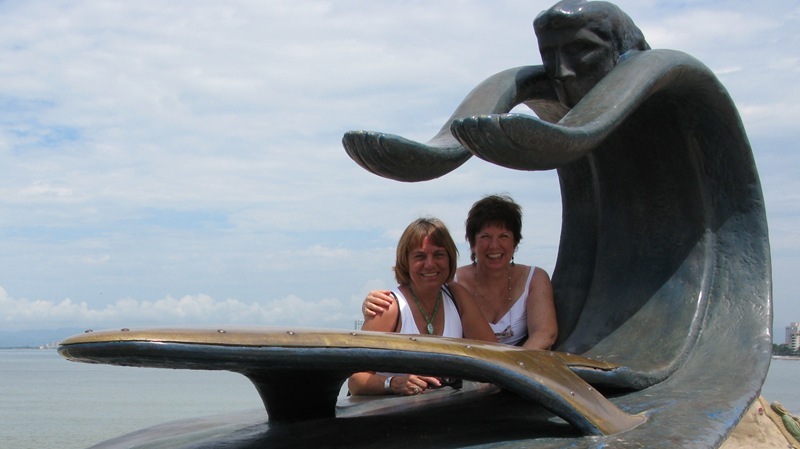 The organizing members represent an unusual concentration of investments in a dozen facilities plus equipment and staff dedicated partially or fully to serving the visual artist and its patrons. 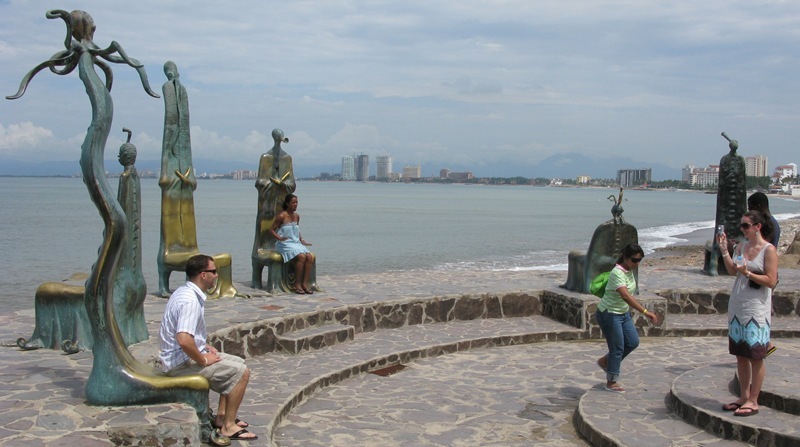 I’d love to see some Malecón-type whimsical public art on Northfield’s “underutilized riverwalk.” I can imagine thousands of visitors’ photos plastered all over the internet within a few years, providing a free, never-ending viral marketing campaign for downtown Northfield.